When Carmen Aguirre was six, she and her family were among the many Chileans who fled to Canada as refugees from the military dictatorship of General Augusto Pinochet, which overthrew Chile's democratically elected government of Salvador Allende in 1973. Five years later, her mother decided to join the Chilean resistance movement in South America, and she moved back to Bolivia, bringing her Carmen and her younger sister along with her. 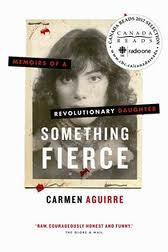 Something Fierce is Aguirre's memoir of growing up living a double life, torn between her dedication to the cause and a teenage girl's normal preoccupations of boys and pop music. There's both drama and humour in the stories of her harrowing adolescence and young adulthood. Something Fierce, which was published just last spring, has garnered rave reviews and been named to the longlist of the B.C. National Award for Canadian Non-Fiction. 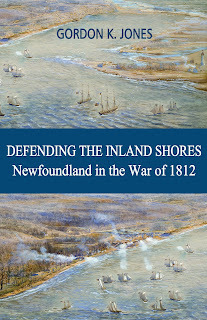 Something Fierce won the CBC 2012 Canada Reads annual literature competition. This is one thing that made me want to read it. The other is I have a bit of fascination with South America, its political instability, and the number of military coups that manage to overthrow the government. The book is a very interesting read. The preview above mentions humour. I found none of that is this book. Carmen Aguirre is very open about her life growing up as a daughter of a mother in the underground resistance. I found Aguirre's mother very unlikable. It very hard to conceive that a family barely escapes to Canada from Chile as refugees after Augusto Pinochet overthrew a democratic government by military force and the mother decides to take her 11- and 12-year-old daughters back into a dangerous, very deadly situation so she can work in the underground fro the revolution. Carmen's father, separated from her mother, stayed behind. So should have the children! The thing I found most interesting is how Carmen and her younger sister went through the same trials, fear and paranoia, knowing their mother and stepfather could be caught, tortured and killed at any time, and ended up with completely different lives in the end. Daily these two children were fed stories by their parents on how to explain their lives so the parents would not be caught. Their mother and stepdad would leave the two young teens alone in a strange city in the middle of political unrest and torture for days at a time with an explanation of what to do, the story to tell and who to contact if they did not return in a certain number of days. I like what Carmen says in the Acknowledgements, "I am grateful to my sister, Ale, a very private person, for accepting the writing of this book, even if her version of the story is completely different." Carmen thanks her mother for raising her the way she did. Now never myself having faced the kind of lives led by people who live under a brutal regime like Pinochet or to have to escape tyranny and torture, I have no idea how I would react. I do know if I was going to dedicate my life to fighting it, I sure as hell would want to know my kids were safe. 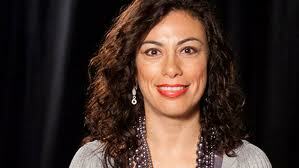 Carmen Aguirre now lives her life in Canada and is a Vancouver-based actress and writer. This book would be an excellent read for a book club. There is so much in it to discuss.